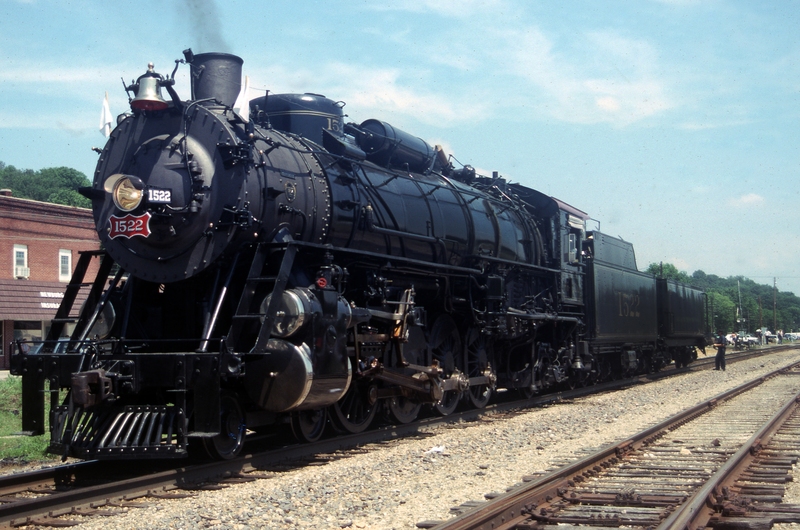 4-8-2 1522 at Newburg, Missouri on July 16, 1990. This entry was posted in DW Collection, Steam and tagged 1522, 4-8-2, Baldwin Locomotive Works. Bookmark the permalink.